It has been evident that overtime the price of houses in Australia have surged. This problem has been persistent since the late 1970’s and is yet to be resolved even today. Over the efflux of time the price of houses have sky rocketed and has gone beyond the reach of the middle and the lower income earning groups of the nation. According to a few scholars the current property scenario in Australia is going through a property bubble which is expected to burst in the near future. However the same is not backed by solid or concrete data and is just a theory. On the other hand the rise in the price of houses in Australia has been in line with the price to income ratio since 2003 to 2012. The house prices in Australia till 1970’s grew at a rate of 3%. Post that phase the prices grew at a rate of 6%. Since 2000’s the house prices in Australia relative to income were at the same level as that of most of the countries. However since that period property price crashes have been witnessed in most of the countries (USA is the major example). The problem has been faced by the Australian government since 2000. 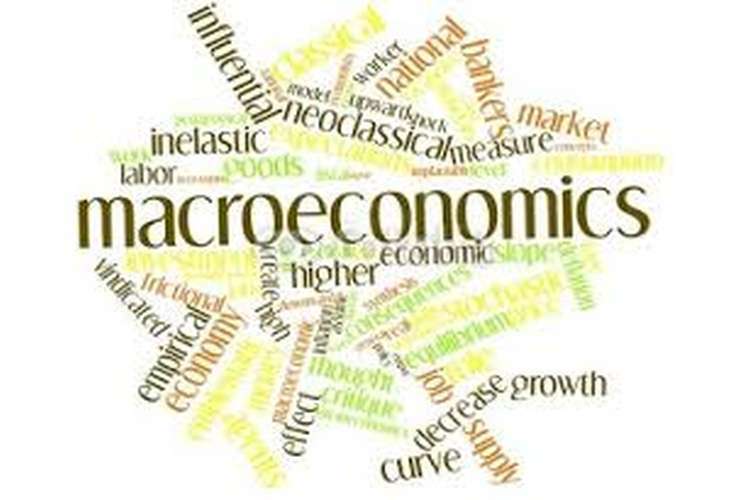 According to scholars and economists the problem has come into existence due to the influence of a number of factors (Antoniades, 2010). The primary reason behind the surge in the prices of the houses in the country is the greater availability of credit in the hands of the people and institutional buyers which is primarily on account of various financial deregulations. The low interest rate regime promoted by the various governments has also contributed significantly to this problem. In addition to the above mentioned reasons or factors the other reasons include the reduction in the supply of land by the government, restrictions imposed by the government on the use of land which has indirectly promoted higher density use of land, various changes in rules in regards to temporary visa holders. Another alarming fact which has contributed to this situation or problem has been the increase in the population of the country. The population growth rate of Australia has been more than the average growth rate of the world, to be precise the same stands at twice the world’s average. The tax has also added to this problem by allowing tax reliefs to existing property owners and investors in the form of capital gains discounts and negative gearing. It is during this phase that the inflation rate in Australia stood in the region of 36% whereas in response to the same the price of houses in the capital cities increased by more than 300% with the exception of Melbourne and Sydney. There are a number of ways through which the problem can be curbed by the Australian government. The government primarily needs to bring about an end to the tax reforms or regimes which have the impact of favoring the home owners and the investors. The negative gearing has had the impact of pushing the price of the houses in the upward direction and creating an unjust adjust advantage for the above mentioned goods as the tax incentives could be applied all sorts and types of houses. In addition to the same people saved more when the prices of houses were higher with the objective of accumulating the deposit amount or the down payment. This further put inflationary pressure on the house prices in the longer run. The higher savings were affected through longer periods of renting. A new reform should be implemented in this regards wherein the negative gearing should only be made available on new homes or houses. This would also demotivate the existing home owners and the investors as they would be stripped of the tax gains which they have been enjoying for a long period of time. Around 80 percent of the working population of Australia belong to the moderate or low income earning groups (Chang, 2015). The government should make reforms wherein the property related tax concessions funds should be diverted towards the benefit of the lower or moderate income earning groups by supporting rental housing. Another way through which the problem can be solved is by encouraging institutional players and super funds to invest in rental housing. In this system the government sending would not be existent but the institutional players and super funds would be encouraged to invest in rental homes. “There is a strong argument that rental housing would be better provided by institutional investors, rather than mum and dad investors, because they are probably more likely to focus on long-term gains, rather than short-term speculative gains,” according to Mr. Pawson. The other advantage of renting a home from an institutional owner is that there exists a lower risk of selling of the property in the near future (Brzezicka and Wisniewski, 2014). Another important reform required in the current scenario which would help the younger generation is the removal of stamp duty and replacement of the same with land revenue tax or in other words property tax. Stamp duty is considered to be irrelevant and has the impact of increasing the price of the property as the same is levied on buying and selling of the house. This in particular discourages the old home owners from selling their properties and prospective owners from buying or investing in property. Instead of the stamp duty which pushes the price of the house in upward direction or makes the purchase or the sale more expensive. In place of the stamp duty the government should consider implementing a land tax which should be collected yearly on the land owned. This would ensure the government of a continuous stream of revenue and would also reduce the impact on sale and purchase of houses (McCarthy and McQuinn, 2015). This particular reform was also suggested by the Henry Tax Review which was published in the year 2010. In addition to the same the people should be given an opportunity to own or control partial ownership of houses. In this system the individual would have 50% ownership of the house whereas the other half would be owned by NTO or not for profit making organizations. This reform would certainly improve the cope of housing owning by lower or middle income groups. With the increase in the CPI the rental assistance program of the government should also improve. For a long period of time no solid reforms have taken place in this aspect as the increase in the rental assistance has not been in line with the increase in the CPI. A reform in this direction would definitely improve the chances of owning a home by the younger generations and the lower or the middle income earning groups. Instead of introducing new rental controls the government should implement indexation of the rental support. This reform in the past was also recommended by the Henry Tax Review which was published in the year 2010. The public transport and other facilities should be improved in the regional areas as the same has been lacking. This has led to concentration in the CBD’s as employs try to save travel time which has been and will be an important factor in the future as well. The development of the regional and rural areas would increase the inhabitation in those areas thereby reducing the density of population in the CBD’s thereby lowering the overall price of houses in the nation. The above mentioned points or macro-economic reforms are quintessential for the lowering of house or property prices in the country however, in addition to the same simpler changes can be introduced by the government. For instance the planning process associated with this entire system should be more simplified and transparent. This would certainly bring about an improvement in the current system (Zhang, 2015). The councils in addition should be given the power to analyze the housing needs of the regions thereby placing a requirement on the house developers to supply houses at affordable rates. Though the practice has already been introduced in certain parts of Sydney however the same should be promoted or implemented throughout the country. Last but not the least the public housing standard should be improved by the government which has been neglected for the past 20 years. This has not subdued the problem but has added to the concerns of the government. Antoniades, H. (2010). Real estate trust accounting. Bondi Junction, N.S.W. : Accounting Real Estate Publications. Brzezicka, J. and Wisniewski, R. (2014). Price Bubble In The Real Estate Market - Behavioral Aspects.Real Estate Management and Valuation, 22(1). Chang, C. (2015). 10 ways to make housing affordable. [online] NewsComAu. Available at: http://www.news.com.au/finance/real-estate/the-10-steps-needed-to-fix-housing-affordability/news-story/9535a2c6c02cf2e09be0e1497bbb8889 [Accessed 19 Oct. 2016]. McCarthy, Y. and McQuinn, K. (2015). Price Expectations, Distressed Mortgage Markets and the Housing Wealth Effect. Real Estate Economics, p.n/a-n/a. Zhang, J. (2015). House Price Expectations: Unbiasedness and Efficiency of Forecasters. Real Estate Economics, 44(1), pp.236-257.